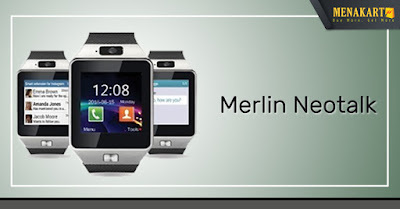 Merlin’s NeoTalk is not just a watch… it’s a smart watch phone! NeoTalk seamlessly connects to your smartphone, holding all virtual distraction out, discreetly updating you on what’s important, and keeping your hands free. Get more from your smart watch! Make calls, check messages, track your movements, fill it up with music, and customize it to match your style. Prehistoric man, by simple observation of the stars, changes in the seasons, day and night began to come up with very primitive methods of measuring time. Ancient Egyptians divided the day in two cycles of twelve hours and measured time with sundials for day time and water clocks for night time. Since then, we’ve come a long way. Watches these days not only show you the time but are as good as smartphones with the ability to make phone calls and capture images and videos.